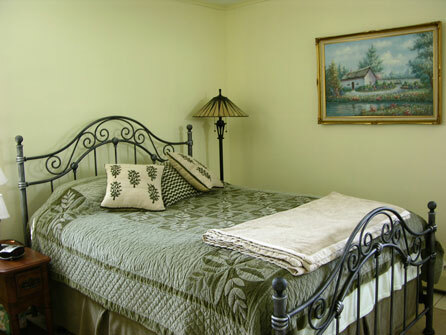 The warm and cozy West Wing suite sleeps three. Two can share a queen bed in the main bedroom. 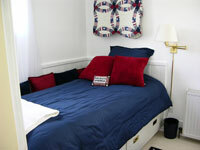 A third can enjoy a twin bed located in an adjoining private room. 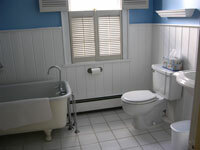 The suite has a private bathroom that has a stand-up shower. The suite comes with a TV and a refrigerator stocked with bottled water. For those who might have trouble with stairs, The West Wing is on the same floor as the entrance and Breakfast Room.